♥ please use the drop-down menus at the top of the page to navigate the blog. Please note: the next Organic Matrix Workshop is scheduled for May 3—6, 2016. We are now taking reservations for Workshop: 2016. A schedule of fees is posted on room and board. We are adding an option for those who live within commuting distance of Searsport and would like to join in the workshop, the first night dinner gathering, and lunches. Arriving early? A pro-rated charge for your room will be added for each night; breakfast is included. Think of this as an overview of valuable background information for the workshop—we won’t be focusing on specific techniques, yet some comfort in working with technical principles will nurture versatility in our explorations of making. • Take a look at books about knots, wrapping, stitchery, quill work, hand made barbed wire (historic examples of) and any other fluidly linear processes that you enjoy, keeping in mind that there is no better inspiration than to look at the real thing. • small You will need a portable frame loom that comfortably accommodates a working image area of about (at least) 10 inches x 14 inches. This measurement need not be exact, but in the ballpark. 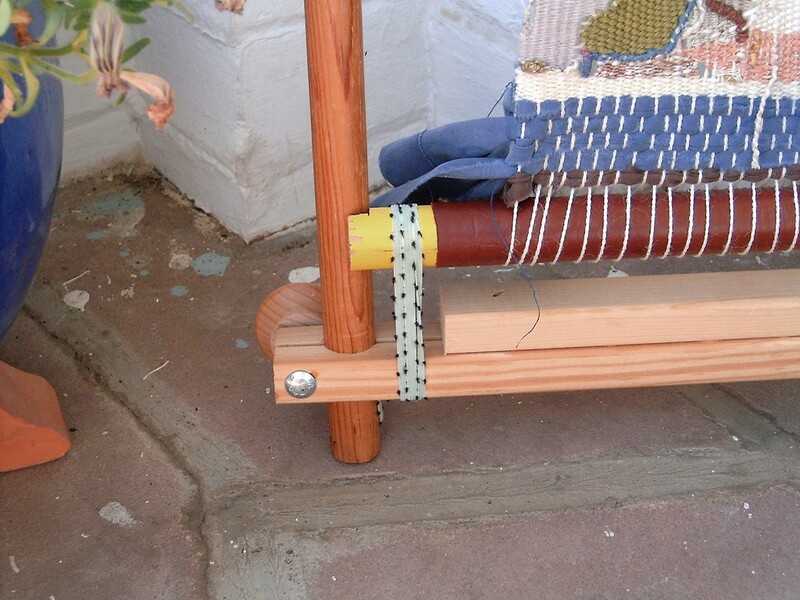 • basic design A very simply designed loom (Navaho style) will serve you best in this workshop. Any kind of heddles, attached beaters or stands will get in your way, and a vertical standing loom will impose limitations on the weaving process (limitations which could interfere with how you “embrace” your projects.) 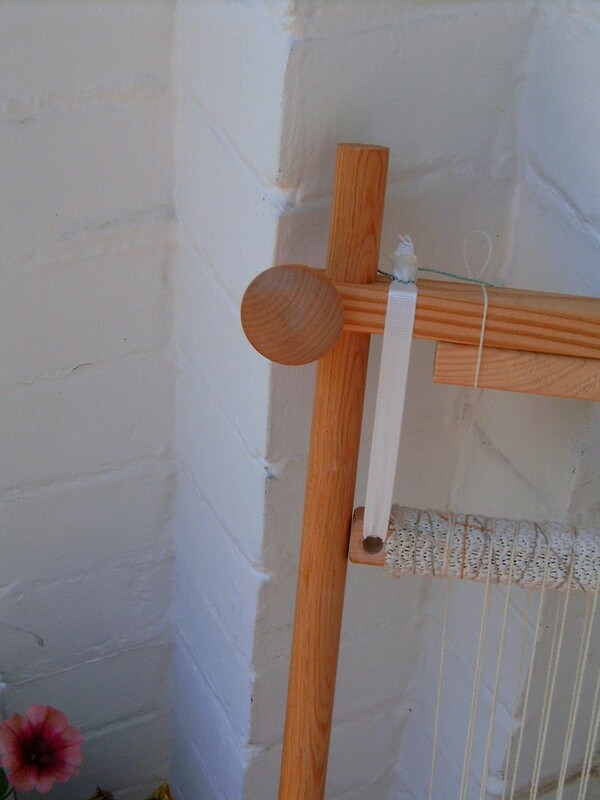 A tension-able copper pipe loom or light weight PVC pipe loom are excellent and inexpensive to make. • portable I suggest that the loom fit inside your suitcase fully warped, in the event that you want to carry an unfinished piece home under tension. 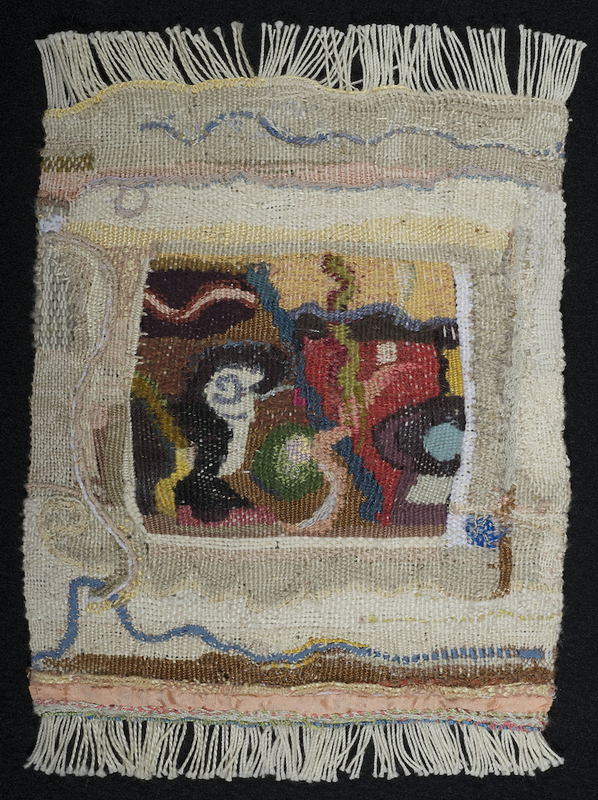 • example shown in the photos My frame loom was purchased at a craft store. I think it was intended for stretching needlework, or for a child’s use. I chose it because it is made of large wooden dowels, and the metal bolts and nuts that secure the corners are counter-sunk into the frame (no snags, nicer to handle and easier on the table top). 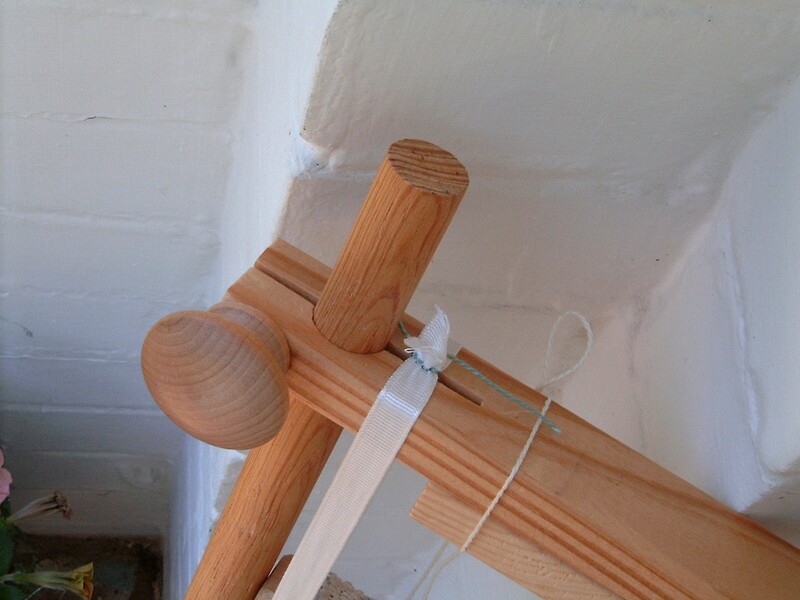 The wooden knobs, which cover the nut heads from the back, act as feet when the loom is horizontal, and make tightening the nuts when tensioning easier. 2) the warp threads are wrapped around beams which are thick enough to create space between alternating warp threads (making upper and lower groups, like a shed). 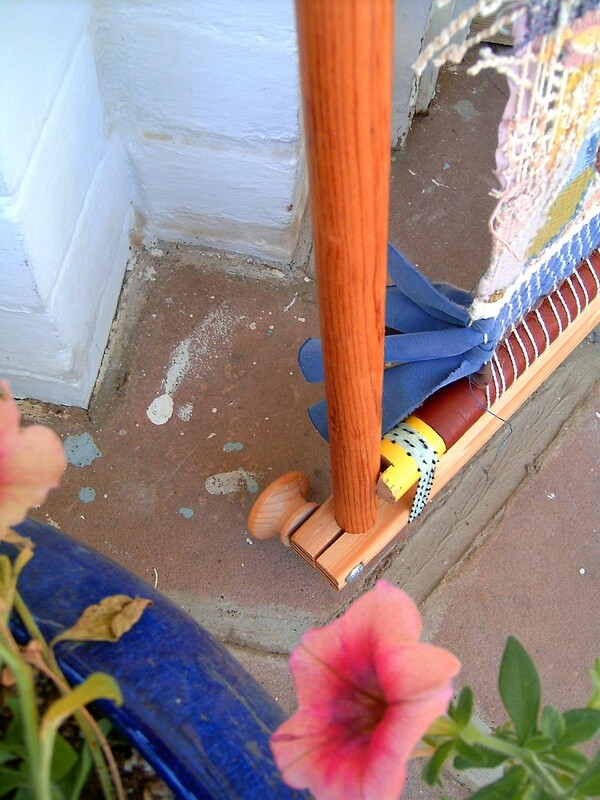 • • customizing My custom touches include a beam cut from a favorite broom handle (yellow), leather from a beloved, mateless glove, and an upper warping beam wrapped in rubbery shelf liner.